I never deny that every time I visit London I instantly turn into a fascinated tourist. The shops, the sights and the typical London things just get better and better. 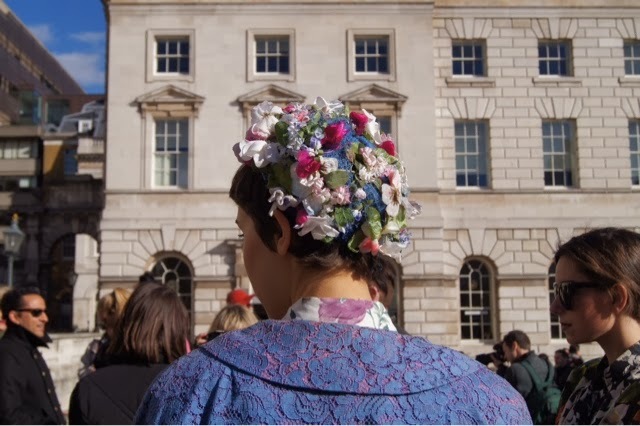 This weekend was the start of London Fashion week so I got involved in that by visiting Somerset House. 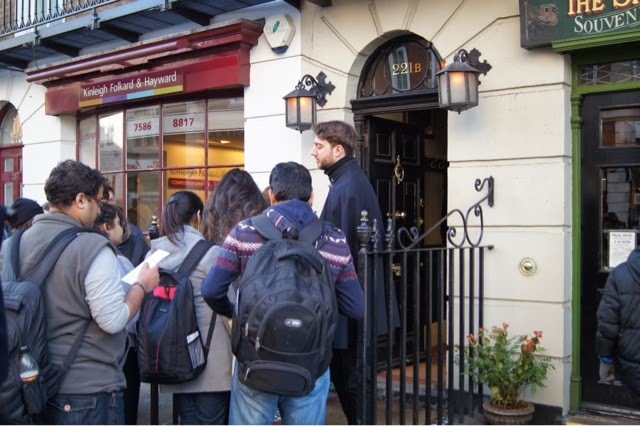 I also visited 221b Bakerstreet which is the home of Sherlock Holmes. 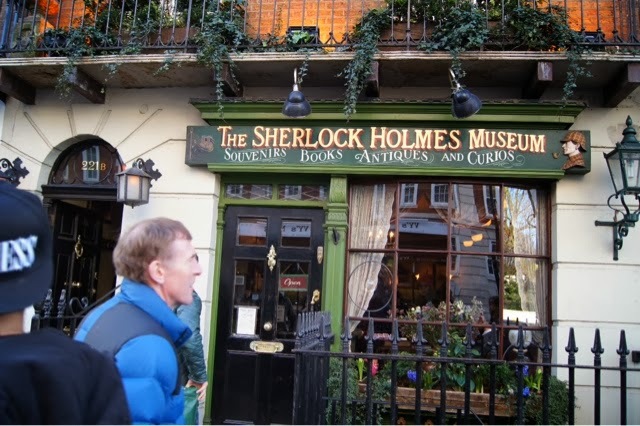 At 221B there was a huge gift shop which was full of Sherlock related things from syringe-pens to real pipes. 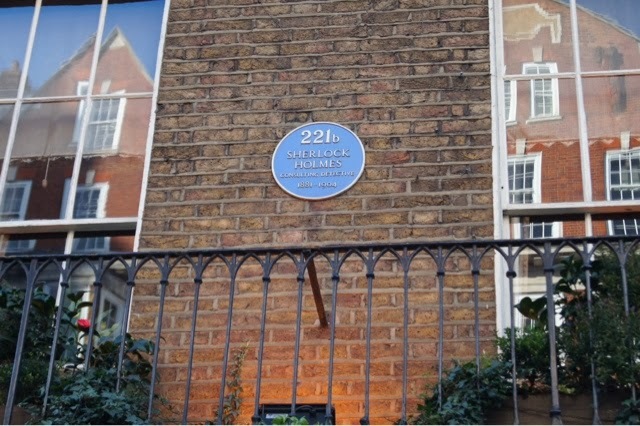 You could go up to the room (pay for tickets) which Mr.Holmes and Dr.Watson lived in at 221b but I didn't have time. I bought a 'Baker Street' plaque in the shop and fangirled over the Season 1, 2 & 3 DVDs and the Sherlock Cluedo. Sommerset House during fashion week is full of your fashion bloggers dressed head-to-toe in fabulous garments. It's where some of the best street-style is and sometimes there's celebrities walking around from show to show and/or being interviewed (I saw Myleene Class and Hilary Alexander, my sister met Kendall Jenner, Kate Moss, Suzie Bubble and Anna Wintour at the Topshop show). 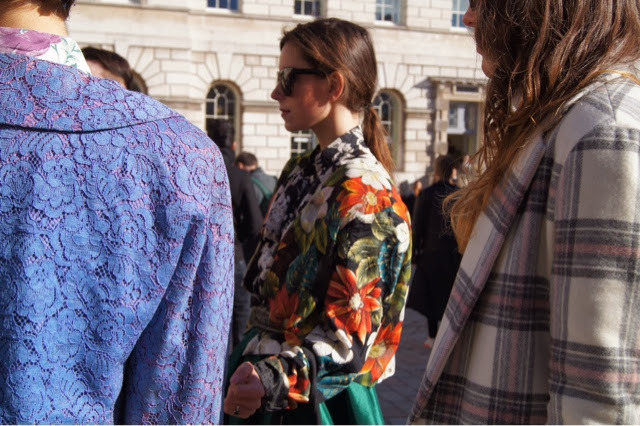 I snapped my favourite street-style looks whilst I was there and received a LFW goodie bag and a Boohoo.com goodie bag. 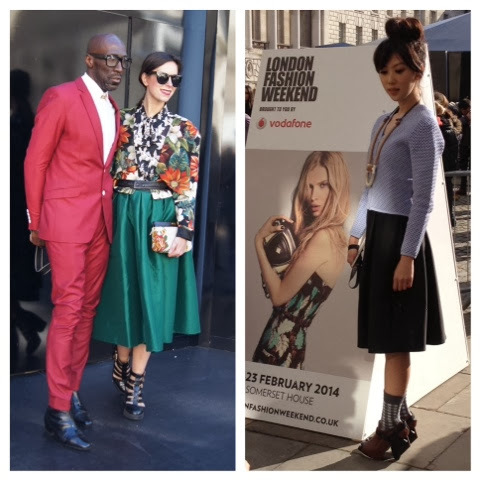 LFW is an amazing experience especially for bloggers. If you'd like to go then SS15 will be in September which I'd love to go to. Have you ever been to London, of you have what's the best thing you've done there?